Wow. Where to even begin? 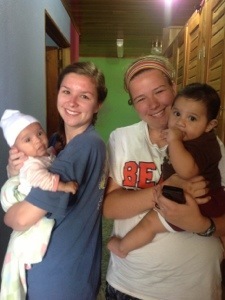 What an incredible week our group had in beautiful Guatemala! Flying over the luscious green mountains of Guatemala was only the beginning to what would be an unforgettable week. When we first arrived in Guatemala City, the Service for Peace staff greeted us with hugs and a warm welcome. Once we boarded the school bus that would serve as our transportation for the day, our adventure had begun! 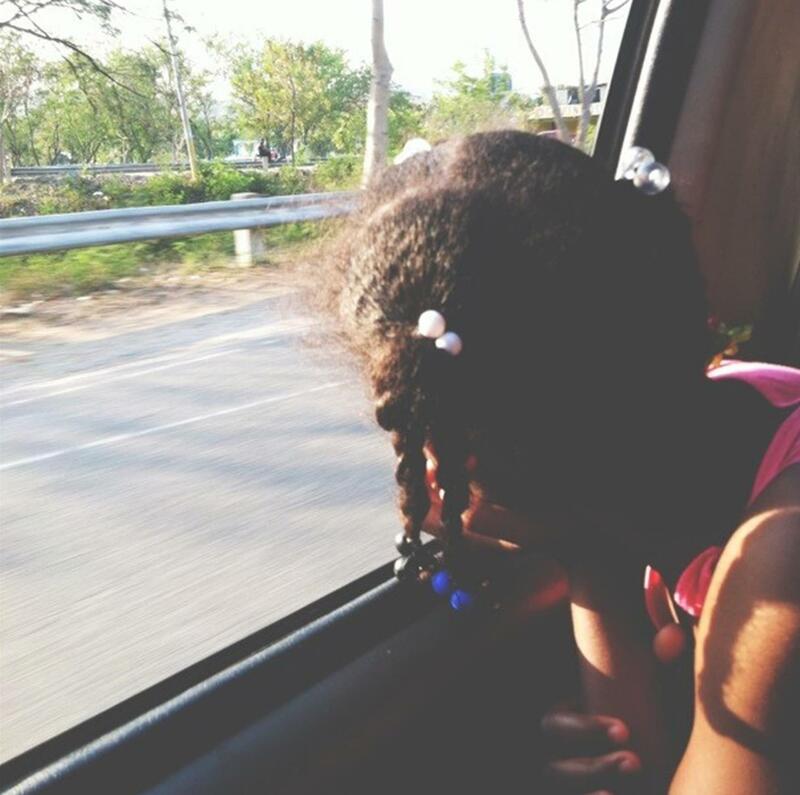 We drove through the bustling streets of Guatemala City and arrived at the church where we would be eating lunch. And let me tell you, this food was DELICIOUS! After we finished eating, we sat outside and looked over the beautiful landscape. Out of nowhere, the people on the street began to set off fireworks. The staff told us that these fireworks are a tradition in Guatemala and one that the locals have carried on each December, celebrating the month of Christmas. After an eventful first day, we said goodbye to Guatemala City and made our way to San Martin where we would stay for the week. Later that night at the hotel, the director of Service for Peace, Juan Pablo, talked to our group about the organization’s mission and the work we would be doing the rest of the week. 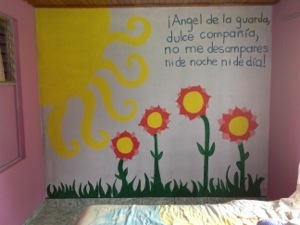 We would be building a classroom for the children of a community known as El Quimal. 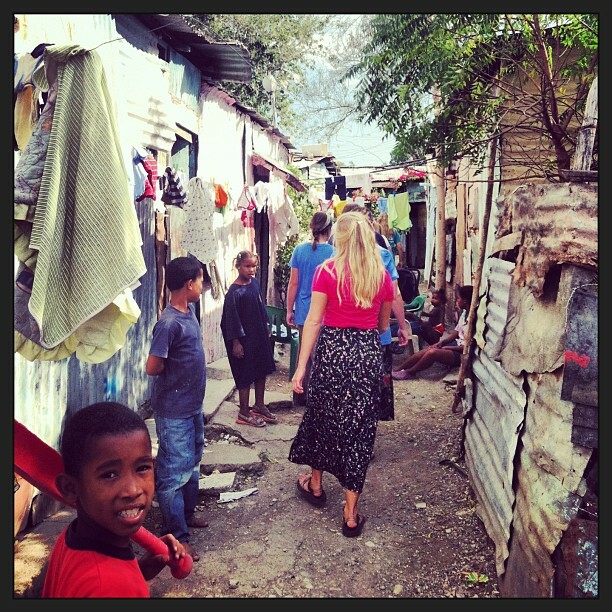 At this point, we were ready to work and hopefully change the lives of the people of El Quimal. 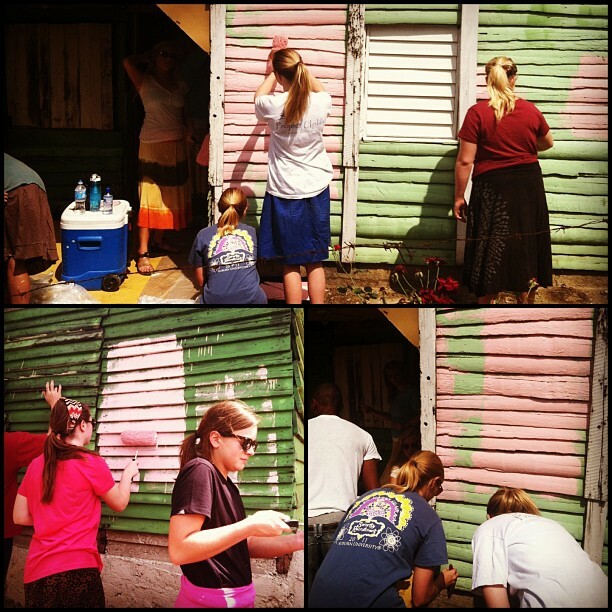 On our first official work day, we loaded up in trucks and made our way to the work site. The trucks that we rode in are the customary mode of transportation for locals in Guatemala. After our exciting first ride up the mountain, we had arrived in the town of El Quimal. We were greeted by several children who showed us around the town. This was a moment that opened our eyes to their world, and how they lived. Some cultural things that we noticed about the people: Many of the women and girls wore traditional clothing. We learned that the designs of each piece show the individual personality, the village, the marital, social, wealth, and religious status of a native. The men wore Western-style clothing, such as jeans, big belts, flannel shirts and straw hats. After observing our work site and the land we would be working on for the rest of the week, we walked up to the local church. The church was beautiful; white walls with a pop of blue on the door. We walked to the top of the church and looked out over the entire town; a truly breath-taking sight. After we spent some time at the church, we were called down to the school where we were told a surprise was waiting for us! Excitedly we walked down the hill to the school where they opened the gates to let us in. The members of the community had set up a welcome ceremony for us! What a humbling moment this was for our entire group. With beaming smiles, we walked through the line of community members to our seats in front of a small stage that was colorfully decorated. 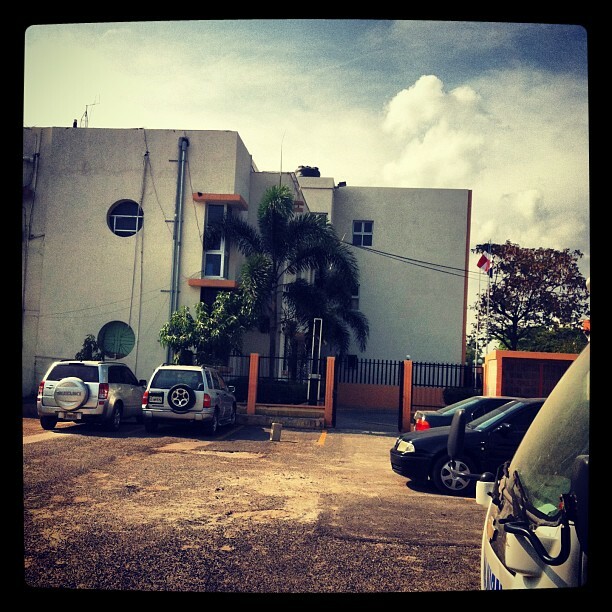 The principal of the school spoke to us, and then one by one we introduced ourselves to the community. After the ceremony they played music for us and we danced with the children, which was so much fun! Another group of us went down to the soccer field and played soccer with some of the children. We definitely learned that Guatemalans are wonderful soccer players! After we played with the children for a while, the staff informed us that it was time to start working. 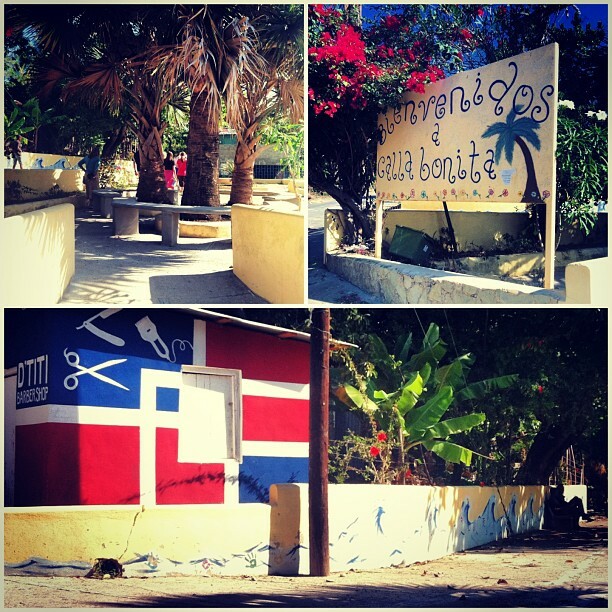 Before we began, Juan Pablo told us to imagine what we wanted the classroom to look like. If we believed, we could make that image in our heads come to life. And so, we began! We dug the foundation and moved rocks and other material from the ground. We learned quickly that we would most likely become body builders by the end of the week! 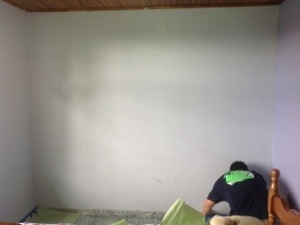 After much progress, we were finished with our first work day. Later that night, we went to a local bakery where we got to see how bread was made. I think that I can speak for my group when I say that this was probably one of the coolest things we had ever witnessed. We met the owner of the bakery and watched two men make the bread from scratch. And wow, that bakery smelled SO GOOD! For dinner that night, Tia made us tostadas, a traditional Guatemalan meal which consisted of chicken, black beans, queso and fresh salsa. And just when we thought the night could not get any better, we learned how to make tortillas! And let me tell you, it looks a lot easier than it actually is. Even though some of the ones we made were pretty hideous, we ate every single one! SO YUMMY. Another night, the staff took us to watch what is called “La Posada.” In many of the towns throughout Guatemala during the nine days before Christmas, small processions are held. These processions usually occur just after dark. They start on December 16th and continue to Christmas Eve evening. The Christmas carols are sung, as the procession walks through the neighborhood carry figures of Mary and Joseph, seeking lodging for the holy family. Seeing these processions was definitely an experience that none of us will ever forget! The last two days of our trip were spent in the city of Antigua. Spanish Baroque influenced architecture surrounds the city as well as a number of spectacular churches and fountains. In the background of the city sits the Volcán de Agua, a majestic volcano that towers more than 11,500 ft above the Pacific coastal plain. This city’s beauty was overwhelming with its old cobblestone streets and ruins. The first day we went to one of the markets down the road from our hotel. Local Markets are the main economic focus of the towns in the highlands of Guatemala. We also did some site seeing and got to see La Merced Church, The Santa Catalina Arc, Palacio de los Capitanes at the Plaza Central, and the gorgeous City Square Fountain. Visiting Antigua was a wonderful way to end our busy and tiring week in Guatemala. After some rest and recuperation, we made our way back home to the U.S.! After an exhausting work week, our group was physically worn out, but what we all received out of our service was far greater than any pain we felt. Being able to not only come to know the Guatemalan people, but also their culture was an amazing learning experience for each of us, and will never be forgotten. I know that each person in our group took something personal out of these experiences, maybe without even realizing it. The people we met and the lives that touched our hearts are memories we will all cherish for the rest of our lives. Day 7: Return of the Wifi! Our last hotel didn’t have Internet so unfortunately this post is a little delayed, but here’s an update. We spent most of Wednesday traveling northward from San José through the mountains to the beautiful city of La Fortuna. Our tour guide Tano is an avid bird watcher, so on Thursday morning some of us braved the early wake-up call and got up at 5:30 to watch the sun rise and go on a bird walk with him. 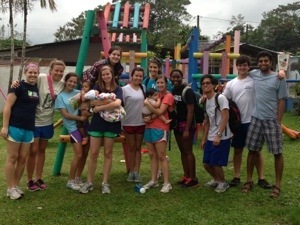 Afterwards we headed to work at the orphanage in La Fortuna, which houses 16 kids from ages 0-10. 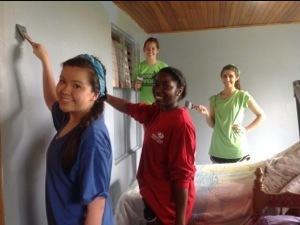 Our projects there included painting one of the little girls’ rooms, weeding the garden, and cleaning and repainting the roof and gutters. On Thursday afternoon we had lunch at Don Juan’s, which had its own organic farm. 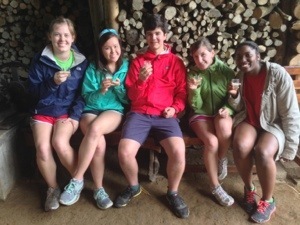 We took a short tour of the farm and got to help extract juice from sugar cane. After lunch we finally got to experience one of the most anticipated activities of the trip: the Ecoglide zip line through the rainforest. It was exhilarating to fly down the 13 different zip lines and jump off the Tarzan swing while enjoying the breathtaking views of the mountains! 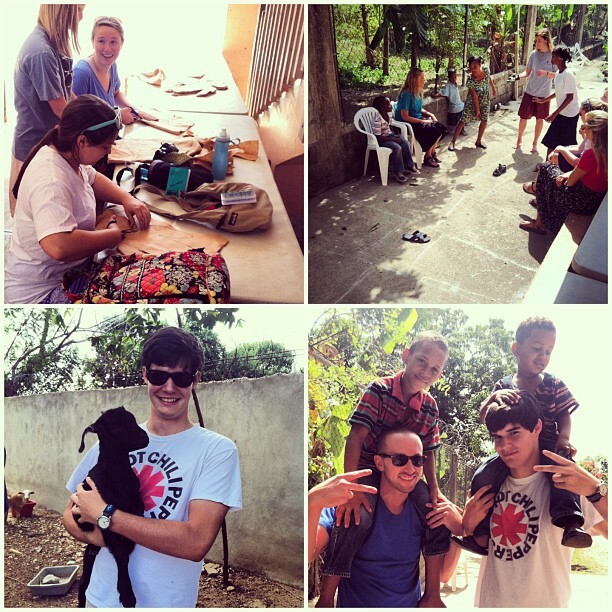 This morning we went back to the orphanage to finish the projects we started. 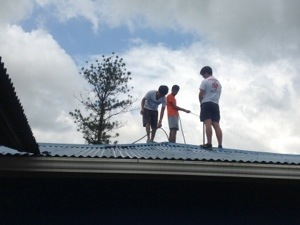 Unfortunately it rained some of the time today so we couldn’t finish painting the roof, but we got almost all of the inside painting done. 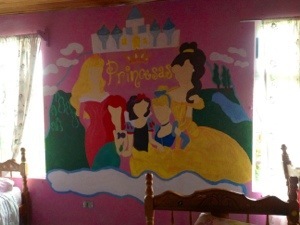 The girls love Disney Princesses so we painted Belle, Ariel, Cinderella, Snow White, and Sleeping Beauty on the walls (check out the pictures below!). We all had a blast being around the kids and seeing their smiling faces, so it was really difficult to leave today, but we eventually said our goodbyes and headed back to San José. After one last dinner together we all discussed our last set of highs and lows before packing up for the airport. 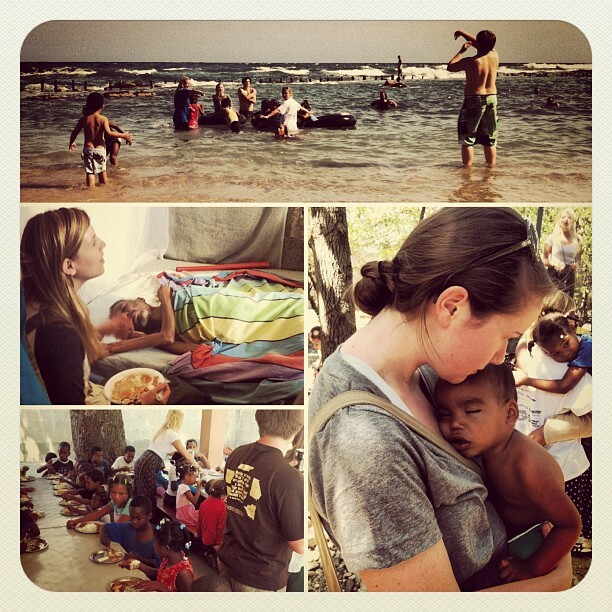 Costa Rica has sort of a slogan, “Pura Vida,” that literally means pure life. We all experienced Pura Vida this week through the humbling projects we did, the new friendships and bonds we made, the gorgeous views of the country, and the lives we improved. While many of us are sad to leave this beautiful country, we throroughly enjoyed the week and look forward to continuing to serve others back in the United States! Pura Vida! Andrea and Kate holding Jennifer and Wilmer! 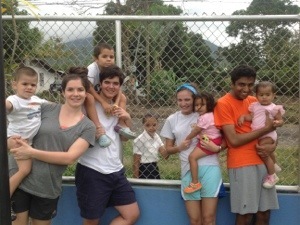 Julie, Nathaniel, Emily and Rohith with some of our new friends! 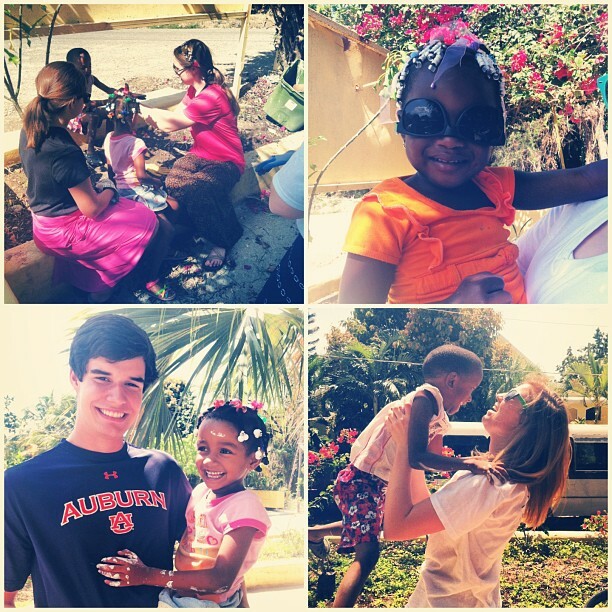 Our whole group at the orphanage!